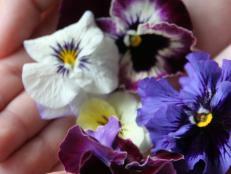 Learn how to transform grocery store flowers into beautiful bouquets for your valentine. 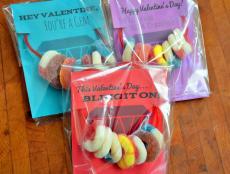 Save money this Valentine's Day by making your own arrangements. 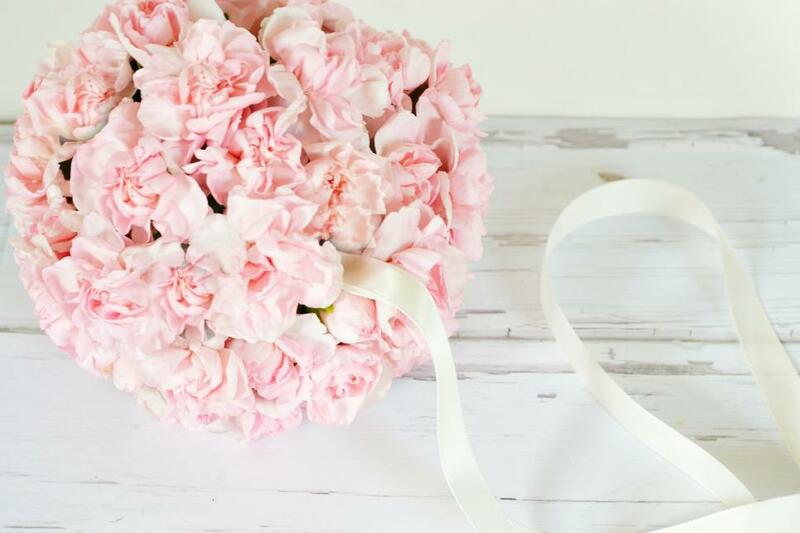 Make these 5 simply sweet creations using carnations, snapdragons, roses and alstroemeria that we know your sweetheart will love! 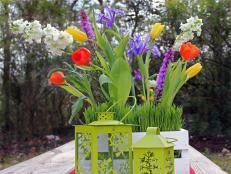 Choosing the right flowers makes all the difference in getting the look for less. 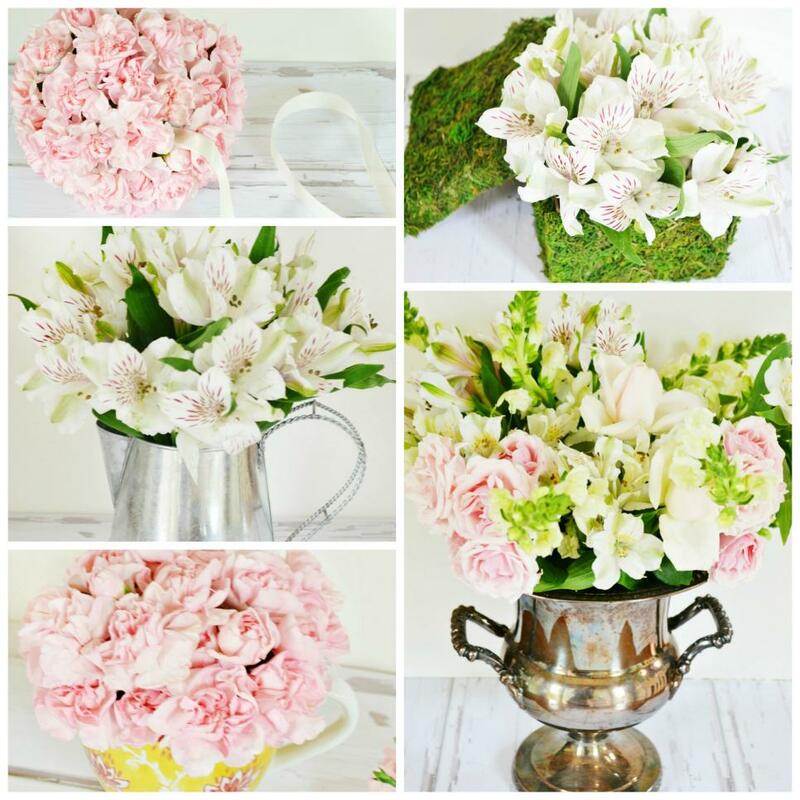 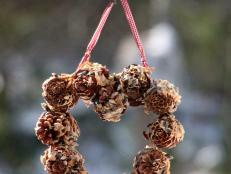 Consider picking bunches of the same type of flower and going with a more neutral color palette. 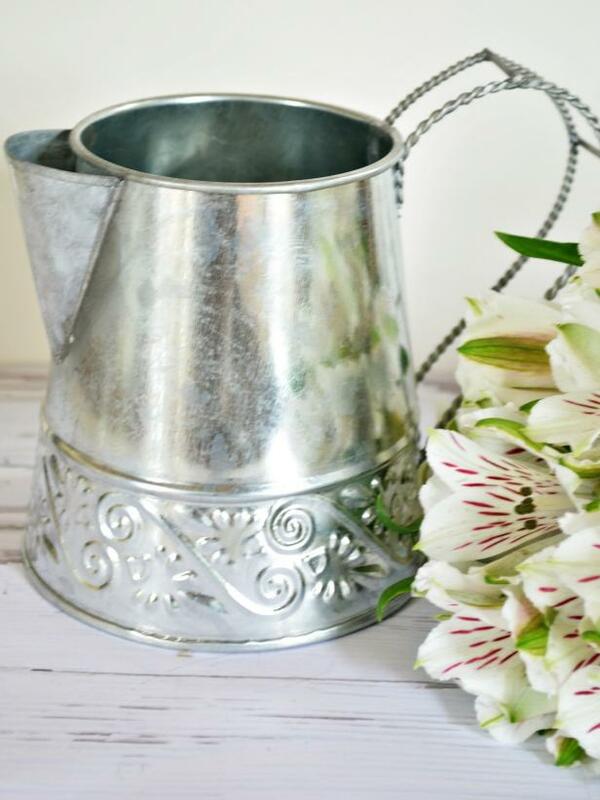 Let the champagne chill in the fridge while you enjoy the beauty of this silver bucket filled with pastel toned flowers. 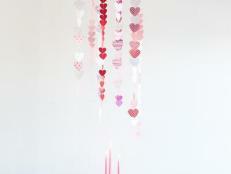 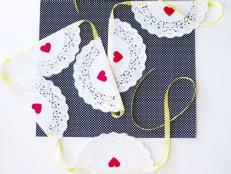 This would make a beautiful centerpiece for a valentine's date at home. 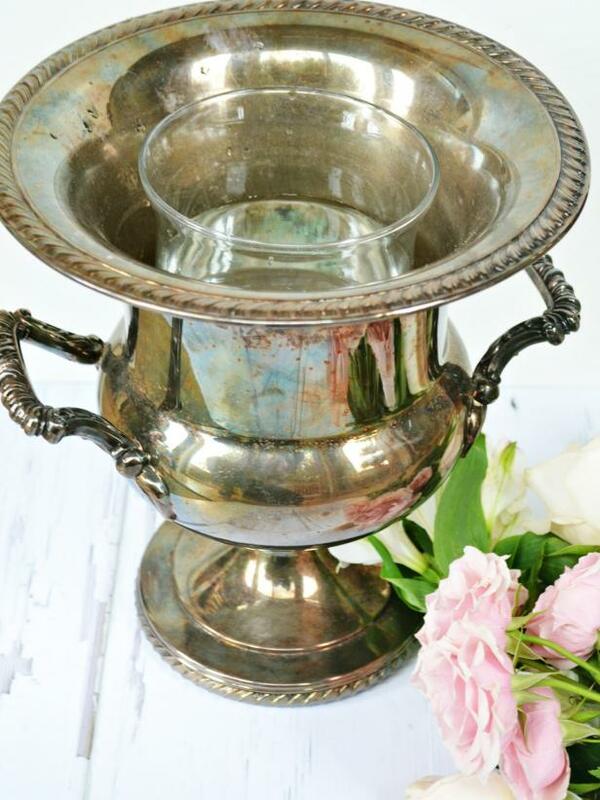 Using a silver champagne bucket or even a vintage trophy as a vase creates instant elegance and is a fresh twist on the traditional vase. 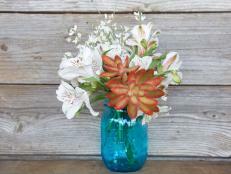 Place a smaller glass vase or jar filled with water right down inside the bucket to hold the flowers. 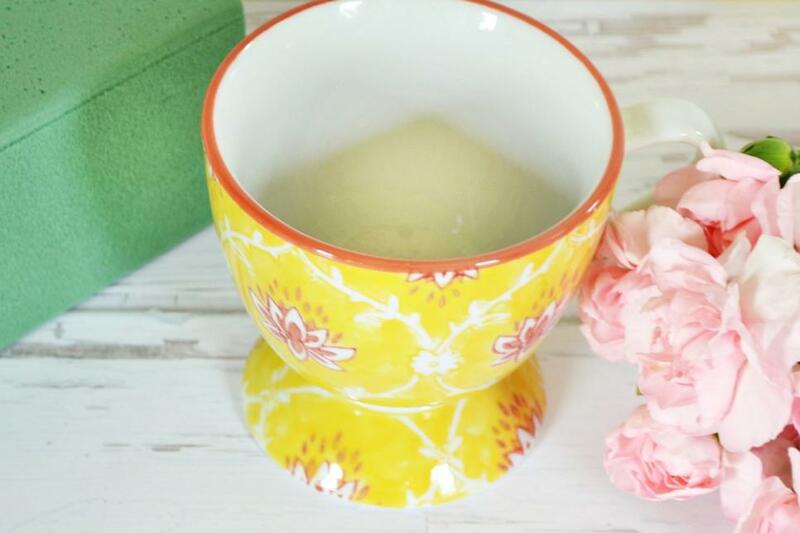 For something a bit more whimsical, use a coffee mug or tea cup to hold your flowers and suddenly you have two gifts in one! 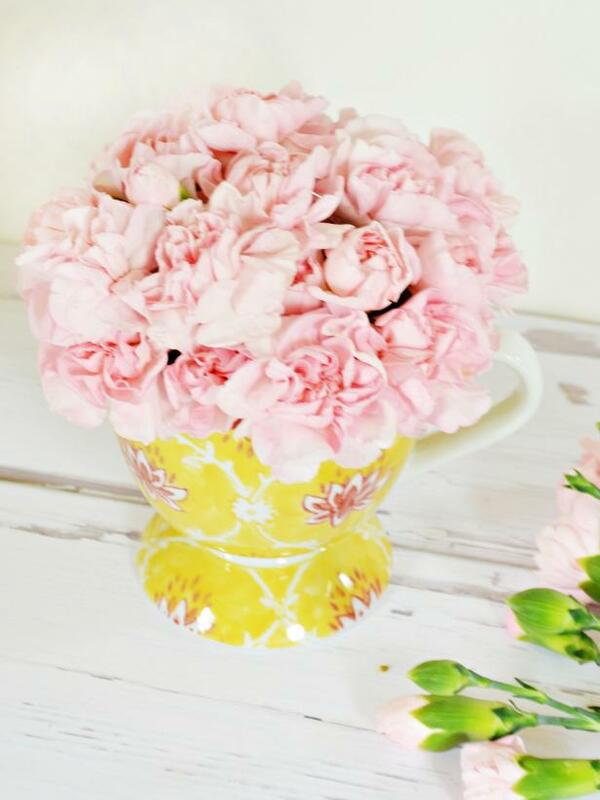 To make this arrangement you will need the coffee mug or tea cup of your choice, wet foam and small bloom flowers like these pink carnations. 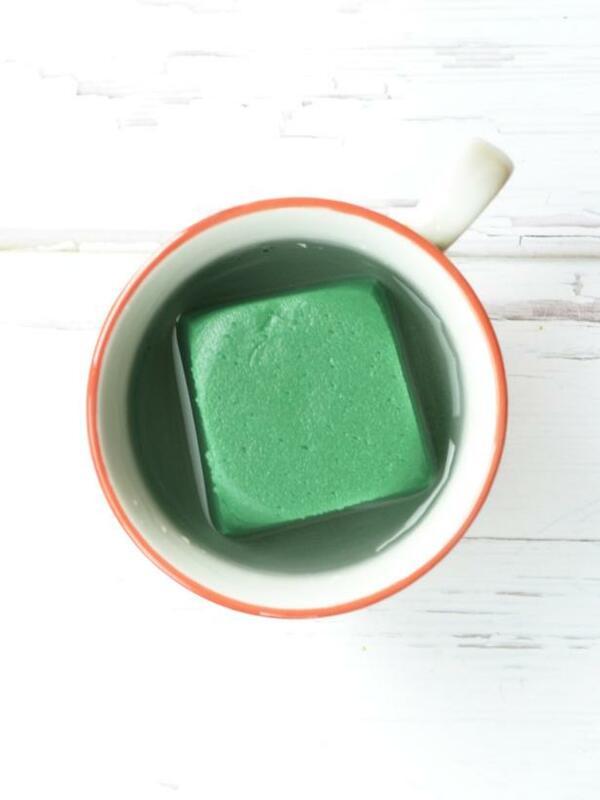 Cut a piece of wet foam to size and place inside your mug then fill with water. 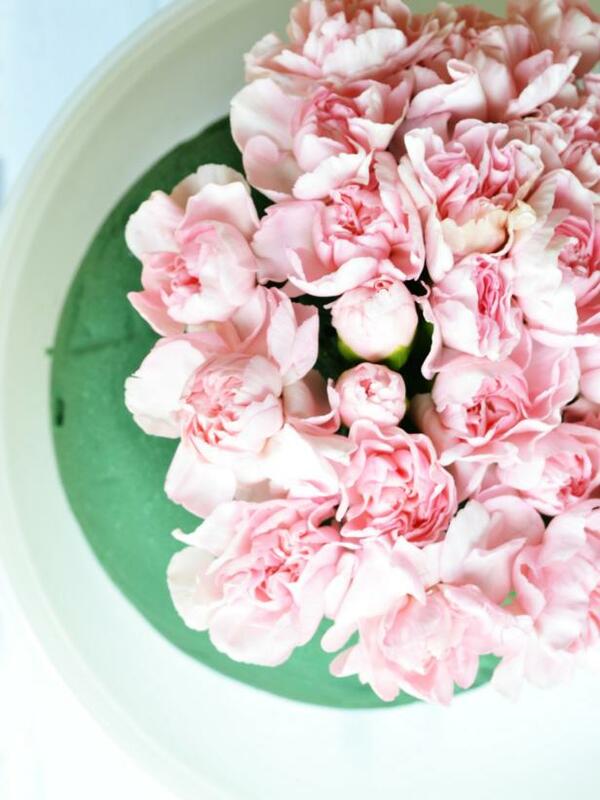 Beginning on the outside edge, stick flower stems into the wet foam and work your way around the rim making sure to nestle them tightly together. 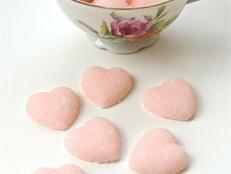 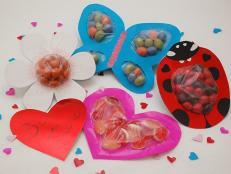 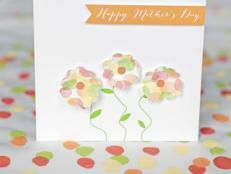 Remind the one you love that spring is right around the corner with this lovely creation. 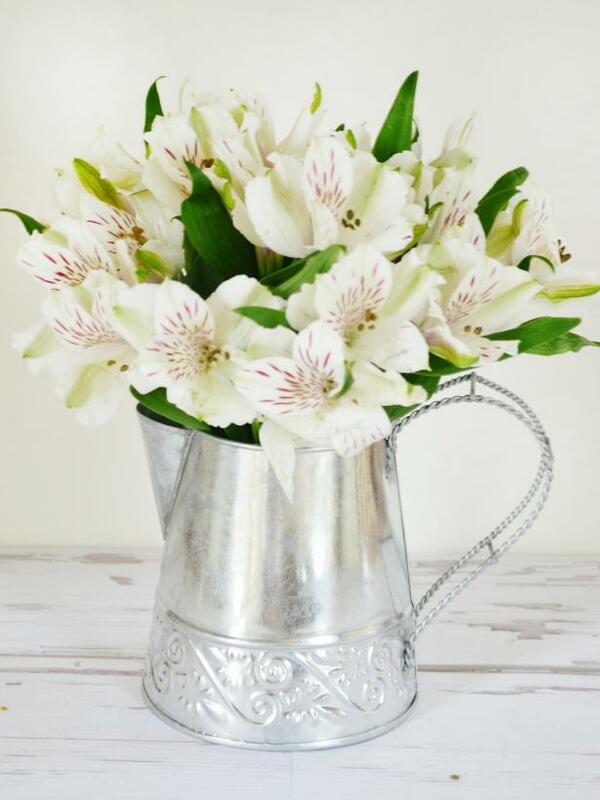 A galvanized watering can is the perfect vessel for this simple arrangement. 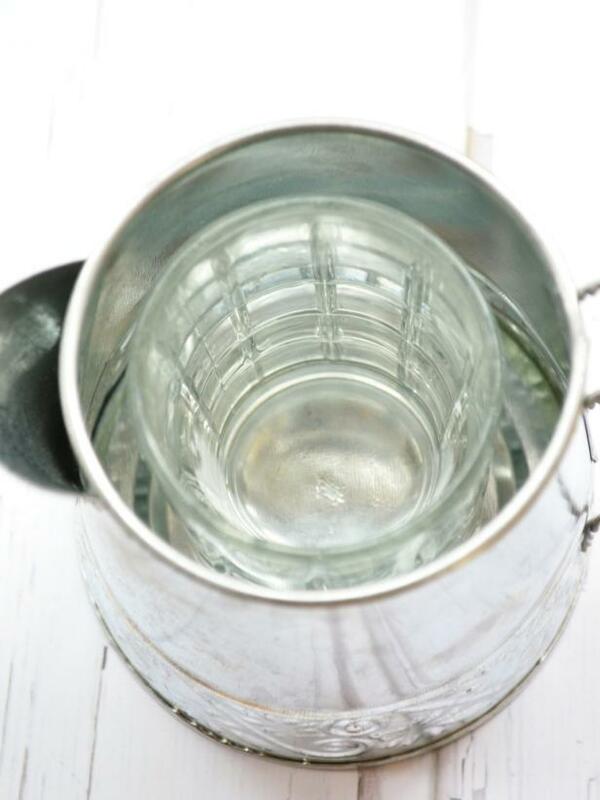 Place a small vase or drinking glass filled with water down inside the can to avoid rust. 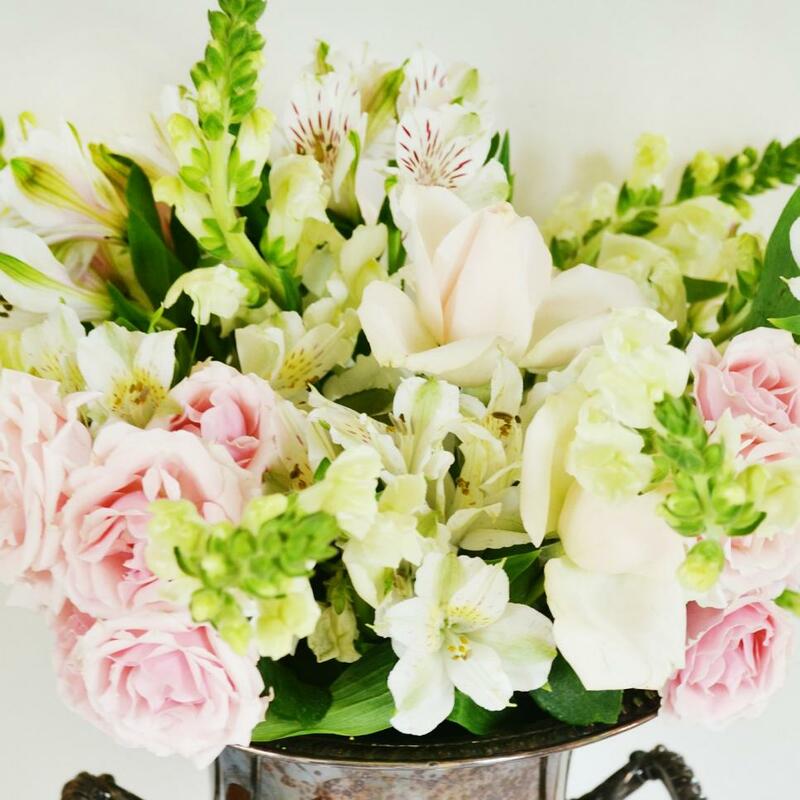 Fill the vase with a simple arrangement of flowers reminiscent of those picked straight from the garden. 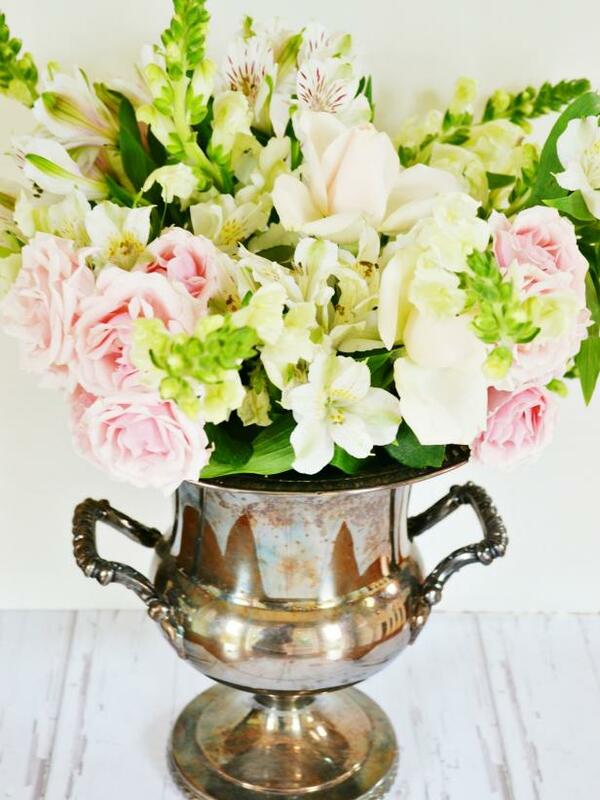 If your sweetheart loves the unconventional then this arrangement is definitely for you! 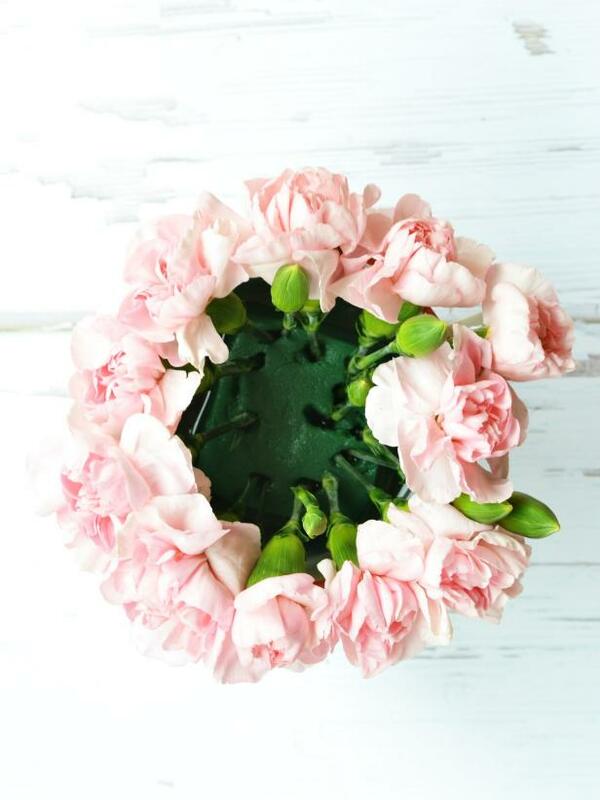 Foam ball (make sure to select a 'wet foam' version), flowers with a sturdy stem like these pink carnations, ribbon in the color of your choice. 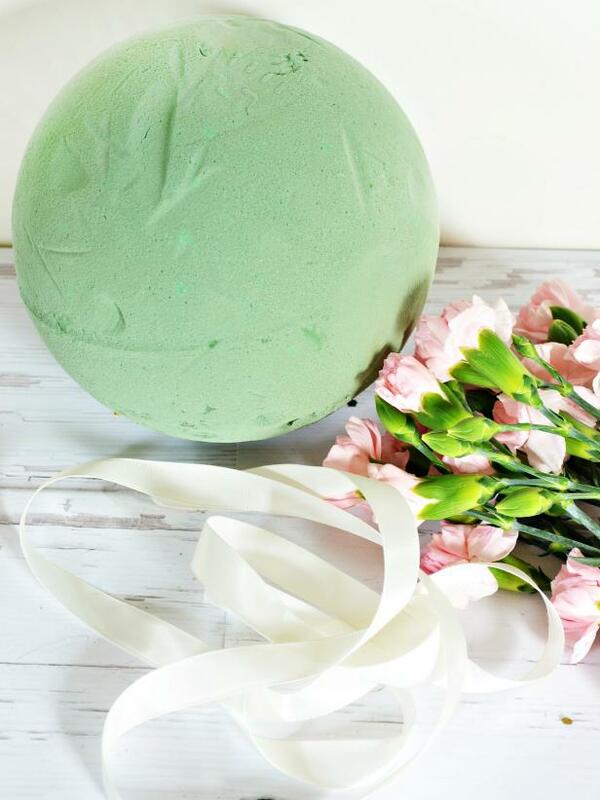 Soak the foam ball in a container of water. 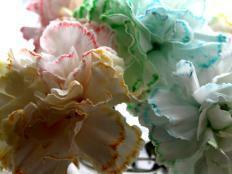 Cut off the blooms, leaving several inches of stem to stick down into the foam. 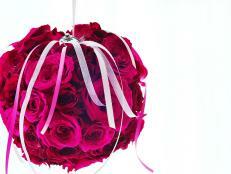 Begin working your way around the ball being sure to nestle blooms as closely together as possible. 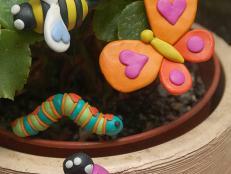 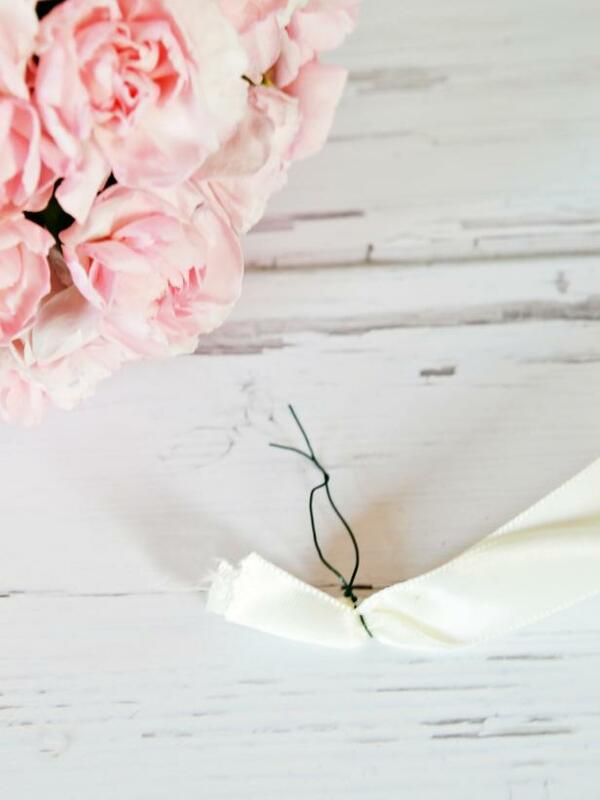 Cut ribbon to desired length and twist ends together with floral wire. 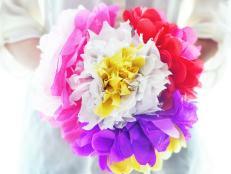 Push the floral wire wrapped ribbon down into the foam ball in between blooms. 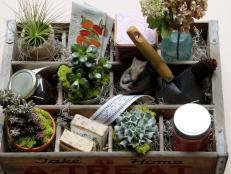 There's no doubting these flowers are a gift from the heart when they come beautifully arranged in a moss covered box. 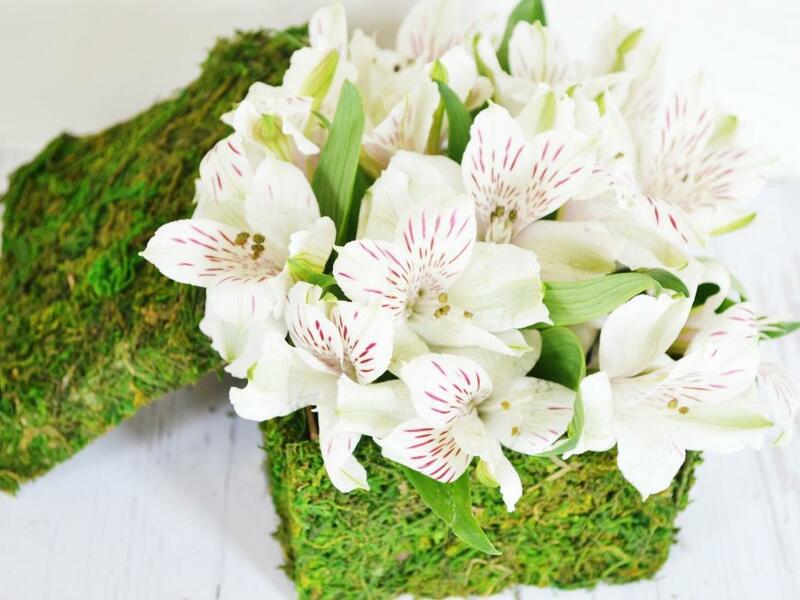 Small box/sheet of moss/flowers of your choice (we're using white alstroemeria). 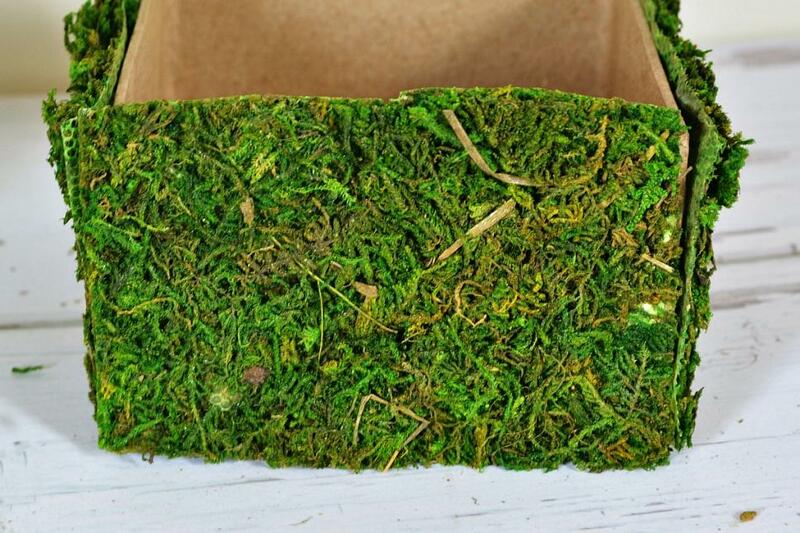 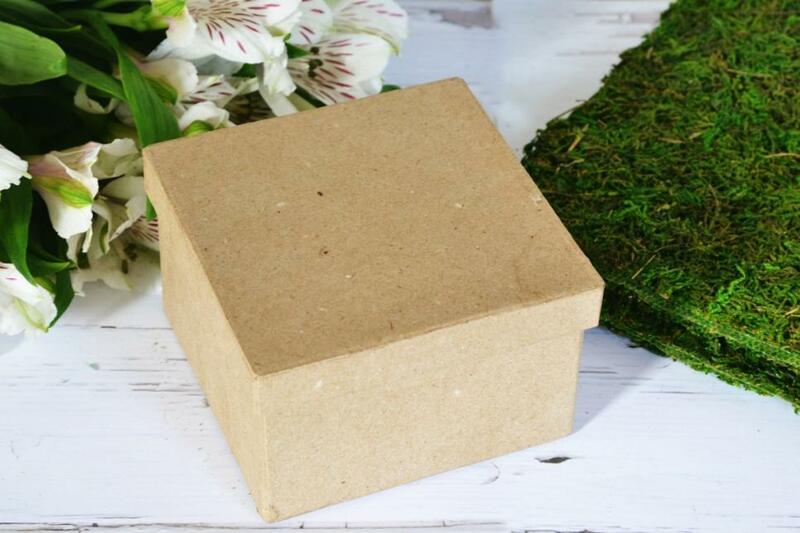 Cut four pieces of moss to fit sides of the box and then attach using craft glue. 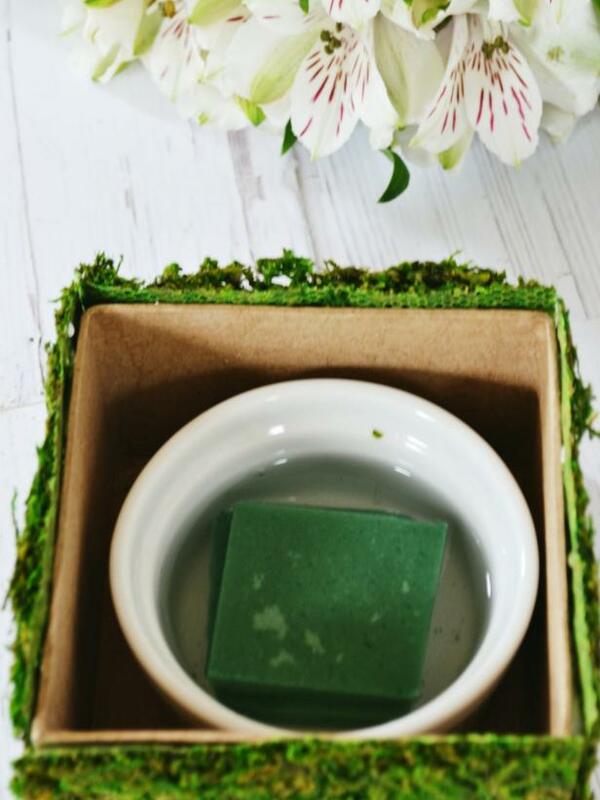 Place a small bowl or dish with foam and water inside the box. 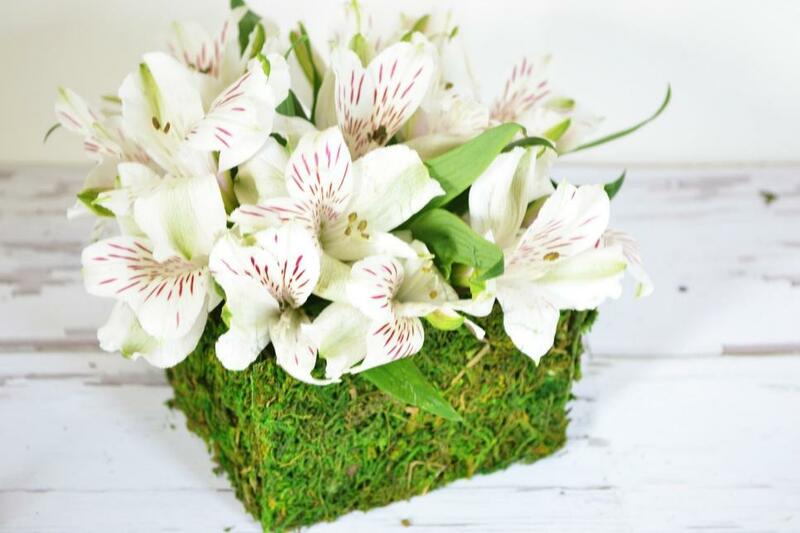 Cut the flower stems to desired length (the size will depend on the size of your box), then push the stems into the foam in a tight arrangement. 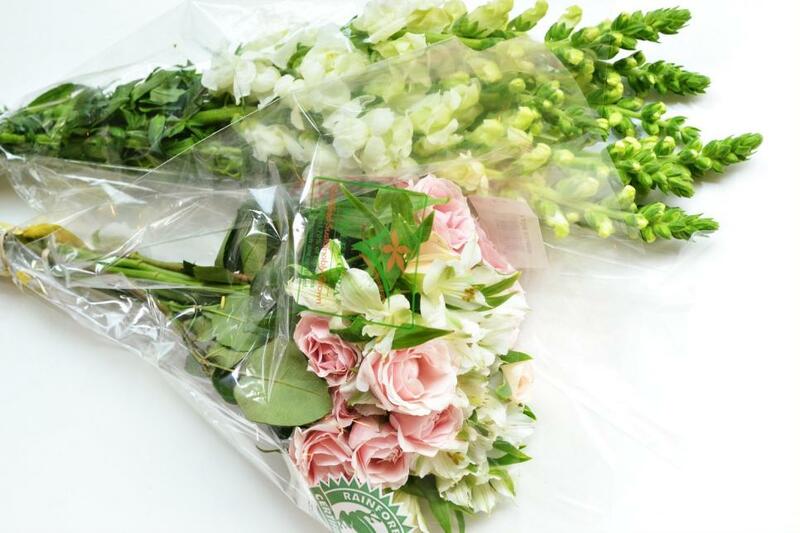 No matter how you arrange them, giving flowers to the one you love is a wonderful way to show how much you care.